Since 1876, Bank of the Flint Hills has had a rock-solid history of reliability, credibility, and community involvement. They are proud of their long heritage in this community. The owners of the bank live here, play here, and raise their families here. As an independent, locally owned and locally controlled bank, Bank of the Flint Hills also strives to stay on the leading edge of banking technology. 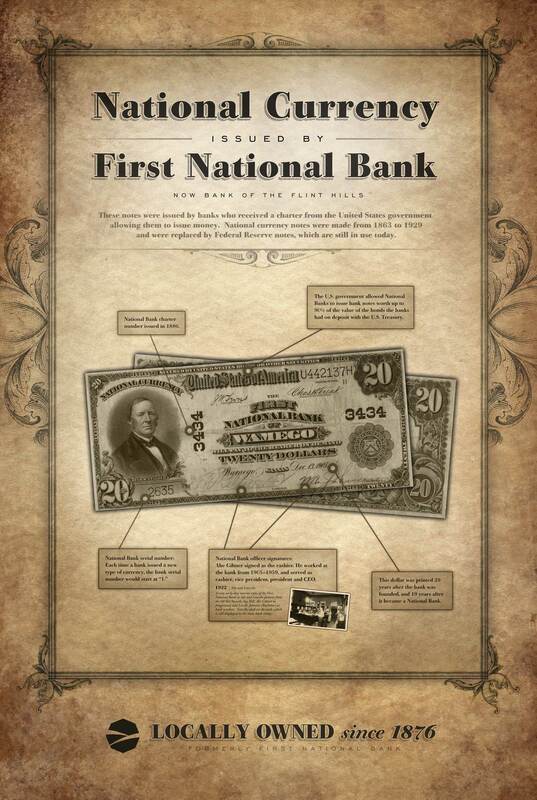 The bank was chartered in 1876 as First National Bank, the same year as Alexander Graham Bell patented the telephone. In 1972, the bank outgrew its location at the corner of 5th and Lincoln, its home for over 60 years, and moved west one-half block to a new, larger, more modern building. As the bank continued to grow, its footprint expanded. The data processing and bookkeeping departments moved to the building directly north of the bank in the early 1990's. In 1991, a bank was added in eastern Manhattan, and in 1999, a bank was opened in Alma. In 2005, the East Branch of Manhattan was replaced with a larger two-story building which you see in operation today. More recently, in 2017, the bank expanded by two. They opened Grand Mere, an open-concept branch with an in-house coffee shop in West Manhattan. This one-of-a-kind branch blends technology, open-concept office space with a shiftable use lobby for various uses. 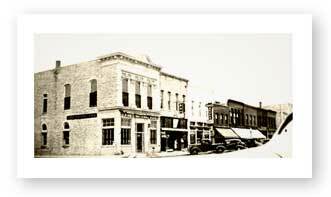 About a month later, they expanded 40 miles south and acquired a bank in White City, Kansas, a small rural town. That acquisition was a natural fit for this small town, homegrown bank. To better represent who the bank is and the communities they serve, First National Bank changed its name to Bank of the Flint Hills in 2014. When customers walk through bank doors, they continue to see the same ownership, staff, service, locations, and phone numbers. With time, comes change and the promise of hard work and roots that run deep in the Flint Hills. With the new name, logo, and look, the bank's ideals and passion for the communities they cherish remain steadfast. Today the bank offers a full menu of checking and savings accounts, loan programs, online banking, mobile banking, and ATM’s located in Alma, Manhattan, Rossville, St. Marys, Wamego, and White City. As technology changes, the bank continually reviews its products to ensure they are meeting the evolving needs of today's customers. 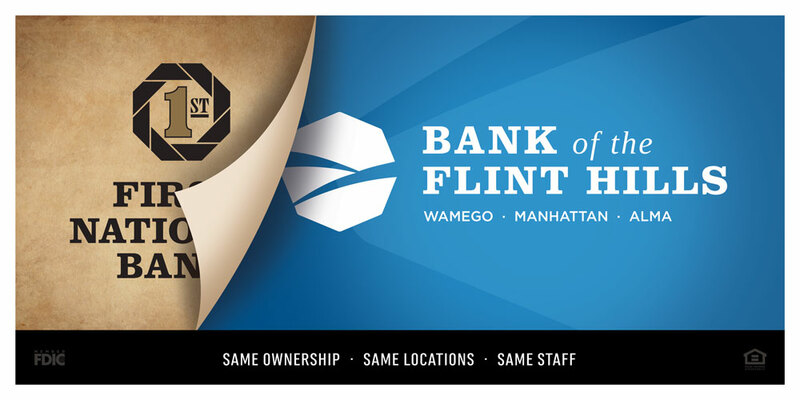 As they honor their heritage with great pride, they continue to adopt new ways for customers to access bank services, Bank of the Flint Hills strives to be the provider of choice for the region they serve. 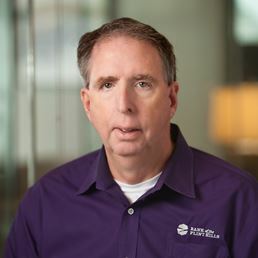 With more than twenty years in the banking industry and ten as the President & CEO, Lance strives to bring his customers and employees the best experience possible, daily. His passion is supporting businesses and communities. He regularly attends sporting events, school functions, and is active in the Wamego Chamber & CVB and a member of the PYRO 4th of July crew. Lance spends his spare time with his family, enjoying the great outdoors. Dennis has been in the mortgage lending industry for more than 35 years. His passion for assisting buyers understand their budget and buying potential has led him to be a featured speaker at countless university budget classes. Connecting people to real solutions continues to be his driving force, daily. An avid car enthusiast, he spends his spare time with his family and attending car shows and events. 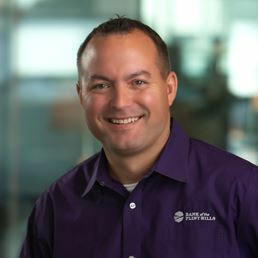 He works to develop the lending staff to have a well-rounded view of the financial industry. Brenda discovered a penchant for banking more than 20 years ago and ties her love of banking to early childhood. 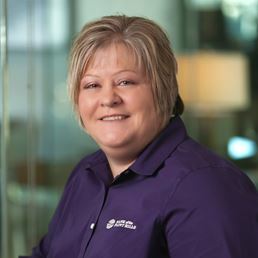 From behind the scenes to the front lines, her passion of banking aligns with the ability to help others. In her spare time, she can be found cheering her children at athletic events, 4H events and enjoying time on the family ranch. Her greatest career accomplishment she feels is the establishment of the Employee Donor Advised Fund and being a member of a team that focuses on community through volunteer hours as well as financial donations. 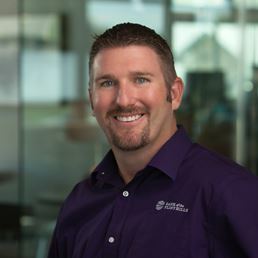 Joe has more than 16 years of financial retail experience, which started in Manhattan, Kansas as a part-time teller while attending K-State. As VP of Retail he enjoys spending time with our retail staff, supervising and coaching them to better serve the needs of our clients. Joe holds a Bachelors’ degree from Kansas State University in Public Relations. In his free time, he is often spending it with family, coaching competitive youth basketball and fishing (when he gets the chance).